Tonight at 5p. our week-long vacation will officially begin. We are turning our attention and time off of technology and turning all our focus on us. To say we are excited is a huge understatement. We’re almost giddy. 🙂 Okay, I’m giddy…Tom has a huge smile on his face–that’s about as giddy as he gets. We are so ready for this time away, and we’ve planned something very special for you while we’re gone. Next week we have some dear blogging friends who have graciously provided guest posts for us on the topic of Sexual Intimacy in Marriage. These couples are well-taught and seasoned in what they share. They aren’t writing from book knowledge, but from their own lives as God has brought them through various trials and struggles as husband and wife. The Bible is their marriage manual, so the advice and help you hear is safe. We pray you will be richly blessed! Phone calls, except for emergencies, or from our daughter who is 36 weeks pregnant. Suffice it to say we’ve done what we can to unpack, so we have room to pack in as much rest and relaxation time as we can in one week. This entry was posted in Christian Marriage, Travel and tagged vacation. Bookmark the permalink. 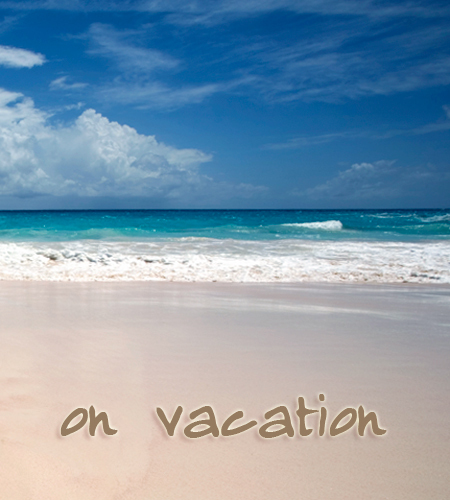 I pray you have a wonderfully relaxing vacation! Ah to get away even for a few days is wonderful… and wow a new grandbaby too? that is very exciting. I miss the little tiny ones our littlest is almost two and not so cuddly. Good for you! Have blessed time!